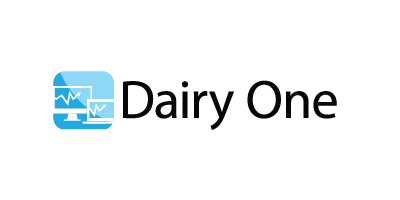 Analytical Services - Manure Analysis Services by Dairy One Cooperative Inc. Properly managing manure is rapidly becoming an integral facet of farm management. A typical cow produces 120 lbs. (54 kg) of manure per day. A 100 cow herd will produce 2190 tons per year making manure management a major farm enterprise. Environmental and water concerns will continue to place greater emphasis on nutrient composition, storage, handling, and time and place of spreading. Analyzing manure for its nutrient composition is required to effectively manage it. Determining N, P, and K provides information regarding its fertilizer value. Utilizing this information in conjunction with soil analyses will facilitate the development of nutrient management plans in accordance with state and federal regulations. This will lead to the efficient and effective application of manure to fields where it will provide the most value. A Dairy One manure analysis provides the following information to use as a basis for developing sound nutrient management plans. Results are reported as percentages, lbs./ton, and lbs./1000 gallons. A Dairy One manure analysis should be an integral part of your farm management strategy. Manure kits are available free of charge by contacting the lab. Refer to the Manure Sampling section below for instructions on obtaining a good sample. No reviews were found for Manure Analysis Services. Be the first to review!